You know when you do that stupid thing, where you have a really good thing going and then it just manages to all mess up? That's kind of what happened to my base routine for a couple of months. I had a good thing going, my flawless base and then I decided to try a new foundation and nah. I'm also one of those people, who even though the foundation may become patchy and cling to dry patches, I refuse to throw it away and continue to finish the bottle because I am not wasting that tenner. 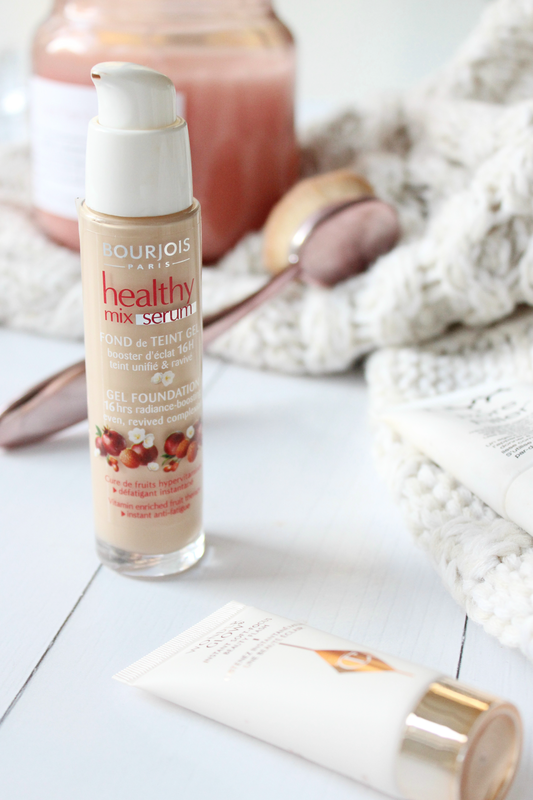 Bourjois Healthy Mix Serum Foundation - Like I said, I tried the foundation foundation from Bourjois and it just didn't sit right on my skin at all, so I went back to my serum foundation and have fallen back in love. Not only is this a great drugstore foundation, but with the wintery months....still here...like seriously can we talk about this snow?? it's perfect for us dry skin girls. I am currently using the shade Vanille, which is a little on the dark side for me sob but alas, nothing a bit of blending out can't fix. This foundation is so light-weight and almost has a weird gel/water based texture to it which is perfect if you're looking for a light base, or you can build it up to a medium one. Unfortunately there is always a negative when it comes to drugstore foundations, sort your shade range out. PLEASE. NYX Pore Filler* - I don't know why and I don't know how, but recently my pores around my cheeks and nose have just become foul. As I have such dry skin, I can't exfoliate too much as it dries my skin out and leaves it irritated. Therefore I've been using this silicone-based pore filler just around my nose and my cheeks. It leaves for a nice smooth base for my foundation and I do notice a difference with the longevity around my nose! 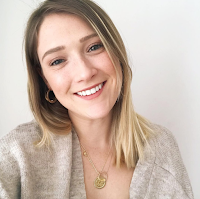 Charlotte Tilbury Wonder Glow - I won't go on too much about this product as it was in my recent February favourites, but the Wonder Glow has been an absolute life saver. Sadly I own two mini travel sizes as I just can't bear the thought of forking out £38 on it, but it is an absolute dream-boat of a product. I usually tend to save this if I'm going on a night out as I feel like it gives more dimension and lift to my complexion. I do find however it shouldn't be used as a longevity primer, to me it doesn't make my foundation last longer, but just creates more of a pretty base. Crownbrush Rose Gold Contour Brush* - Lastly of course in order to create a flawless base, you need the right tools! I'm always using my Real Techniques Complexion Sponge, but as mine has gotten a little grimey, I've been opting to use this paddle brush instead until I buy a new one. As the bourjois foundation is quite light to medium coverage, I tend to use a beauty blender if I'm a) in a rush and b) if I am looking for that lighter coverage. However, the Crownbrush Rose Gold Contour Brush (the largest in the set) as become a new favourite. Using circular motions I blend in my foundation and it actually buffs in the foundation. I don't tend to use these paddle brushes with high-coverage products, as it does tend to streak more, but with a light coverage foundation it really does buff in the product to let it naturally sink in. So there we have it, my go-to base routine at the moment! Let me know in the comments one product that ultimately makes or breaks your base routine! I love the Healthy Mix foundation as well for days I dont want high coverage, such a lovely foundation. Great pick of products here. I really want to try that foundation, I have heard nothing but good things about it over the past couple of months!